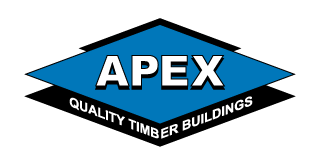 Apex Timber Buildings has over 30 years experience, and have gained an enviable reputation for manufacturing excellent quality timber buildings thoughout the North East. All our buildings are hand made, to your exact size and finish, in our workshops n Teesside, then delivered to your location and assembled by our expert team of craftsmen. We are always pleased to hear new customers tell us how we have been recommended to them, or that they've seen our buildings at friends and families homes. Many of our customers return for additional buildings, whether they've moved home or they've seen some of our new designs. 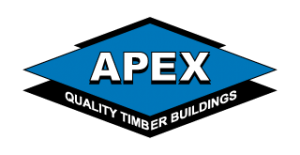 We would welcome the opportunity to talk to organisations, domestic or business customers who are thinking about a timber building regardless of size or design. You can call us during normal office hours on 01642 612016, or send us a brief description of your project and we'll get back to you.